North Texas Jellystone Park™ is the best choice for RV Camping in style with our “New” Red Carpet RV Camping Sites. These sites are located on the quieter side of the Park and conveniently located just off I-35 W. We are just 20 minutes south of the heart of Fort Worth and 50 minutes south/west of Downtown Dallas. We are the ultimate adult and family friendly RV Camping destination. NOTE: Our RV Camping site rates include basic cable, water, sewer, trash, & wireless Internet access. Electric is not included for monthly guests. To this day, renting an RV or tent site is our most affordable park option. Our rates are competitive, and we offer special discounts for large groups, very large groups, Winter Texans, and extended stays. 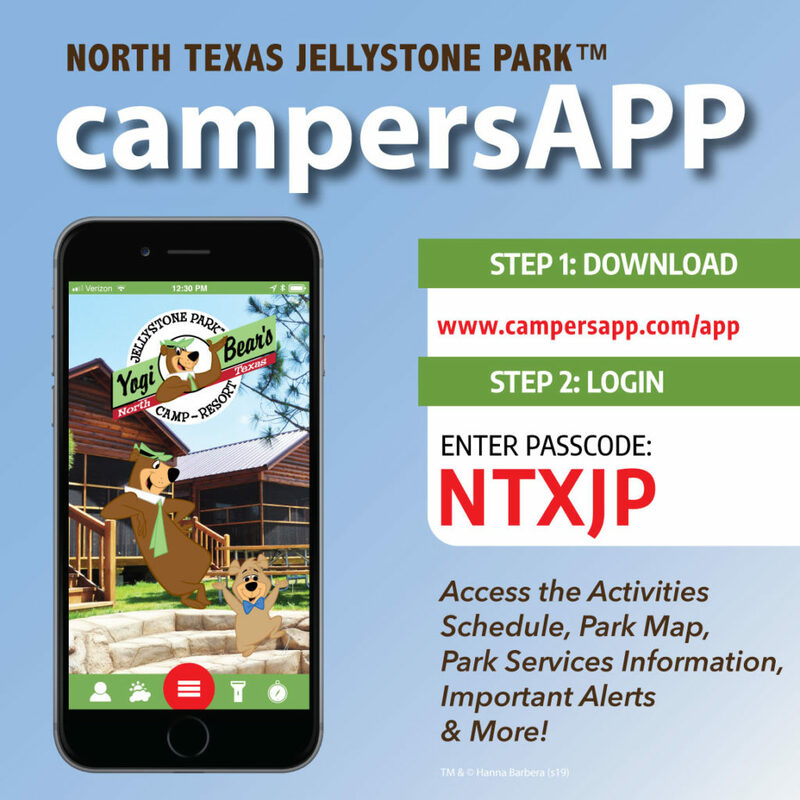 Call (817) 426-5037, or email at info@northtexasjellystone.com to learn more.